Home / Home Improvement / Hiring a professional landscaper or Do It Yourself- Which is a better option? Hiring a professional landscaper or Do It Yourself- Which is a better option? Your dream house will look pale from outside if you don’t pay attention to its exterior. If you have enough space in the lawn you can use it for activities, parties, soirees, and more. It will enhance the aesthetic beauty and will also boost the price value of your property. When it comes to landscaping most people try to do it on their own and they consider it as simple as gardening. Some of them enjoy mowing their lawns. If you are one of them, you will be surprised to find the advantages of hiring an affordable landscaping expert and how they can make a difference to your favorite yard. Professional landscaper offers prompt service: You will take your own sweet time to maintain your exterior where as a team of professional will work systematically to finish their job on time. From designing to mowing to weeding to installing new features, there’s a lot of work to be done within a specific period of time. Being a homeowner you neither have that leisure time nor have the expertise to complete the entire work single-handedly. Professionals are creative: Experience matters when it comes to any specialized task. Landscaping experts handle a plethora of projects every month and they are efficient enough to turn the vision of their clients into reality. After assessing your property and finding your requirements, they provide a tentative estimate and some designs to choose from. An efficient landscaper will not help you choose an appealing design but will also suggest you the most cost-effective solution. Professionals are well-equipped: Being a homeowner you hardly can possess some gardening equipment but landscaping tools are different. It will be unwise if you spend your hard-earned cash to buy any lawn care product. If you contact the professional landscapers, you will rest assured with their quality of the job. 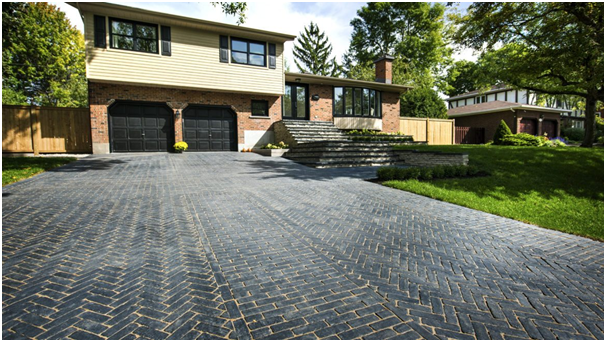 It’s because they are not only adequately trained but they use the latest tools and techniques to ensure an outstanding landscaping service. Hiring them will you get an overwhelming solution. Professional landscaping requires skills: Most homeowners are clueless when it comes to decorating their lawns. Mowing, planting, fertilizing, and the basic gardening are not that difficult but landscaping is not limited to lawn maintenance only. From setting stones in your walkway to fixing lights and other features, the professional landscapers can totally change the look of your lawn. You can easily see the difference and hence it is worth to have them instead of trying it on your own without any prior experience. So you can see there are ample of benefits of hiring an experienced landscaper. If you are looking for a professional landscaping service provider in your area you can count on Northstone Landscaping. They have been operative for a decade now and have earned goodwill with their service. In addition to customized landscaping, they offer commercial and industrial snow removing service. Their trained resources are known to provide a customer-friendly solution. Hiring them will help you experience a smooth landscaping service.